Spookyspace is strange and scary, especially when it comes to piloting a capital. Being one of just three in your fleet, you can’t expect to sit and soak up triage reps all day; you need to hold your own and bolster the main T3 fleet, bringing home the win. After just three passes by any capital ship though, that connection is going to collapse and seal you in with your foe. Taking caps to a fight means going balls-deep (or bhaals-deep in this meta! ), cutting yourselves off from home and putting your fleet’s SP on the line. For that reason you definitely want to put a lot of thought into your fit. It’s no poors allowed in this place. Rather than going into detail on every cap specifically, this article is going to take an experimental look at some of the changes and general fittings that we might see used in wormhole space in particular. Being able to hold your own is vital, so this article will focus more on that, without those silly remote cap transfers or remote reps. Previously, the only thing that would typically be used was a large buffer of cap and tank. In conjunction with a (literal) boatload of hot-swappable mods, you would manipulate them and stay at your peak regen; a great example of how that was done can be seen here. 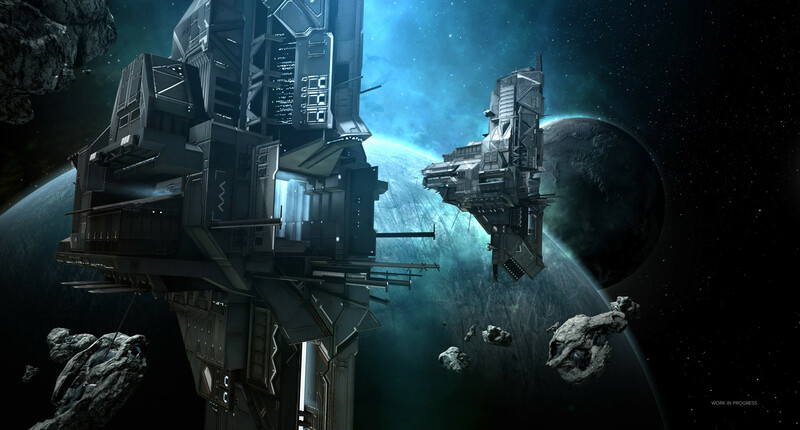 With the recent Citadel release, CCP all but took this away from us by stopping any such refitting with a weapons timer. This change means that our initial fits are going to be much more important when going into a fight and you’ll have a lot more to consider. A blap dread is no longer going to tank the world after a refit off the Nestor. Eight and a half minutes of constant neuting is a hell of a lot, especially considering that in my example the Bhaalgorns are using some of the best neuts money can buy. In an actual fight you would have your own Bhaals counterneuting them, reducing their effectiveness and letting you last even longer. You can, of course, push it up higher with faction cap batteries or by dropping that sebo, but this is something a little more balanced and perhaps realistic. 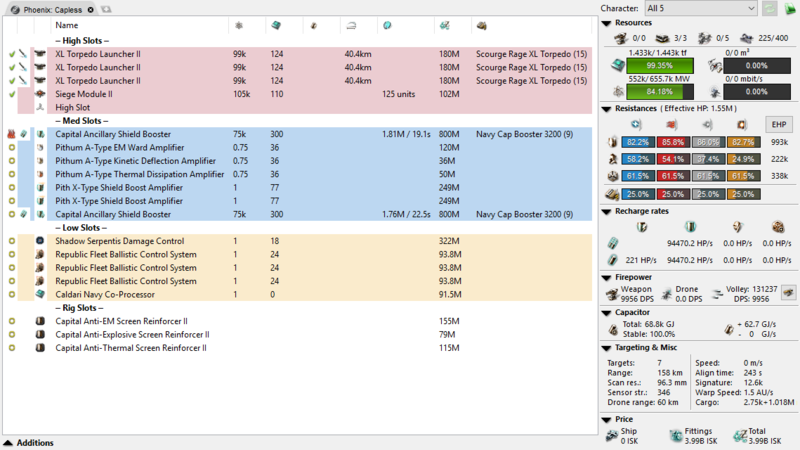 So another big change is the introduction of extra-large 3200 GJ cap booster charges which injects about half a Battleship worth of cap into you on every cycle. It may not be much compared to the 400k cap of an Apostle, but over the 72 seconds that a cap booster cycles for, you can gain back about a quarter of a Naglfar’s cap, give or take. As with any fit, there are different ways you can play it out. 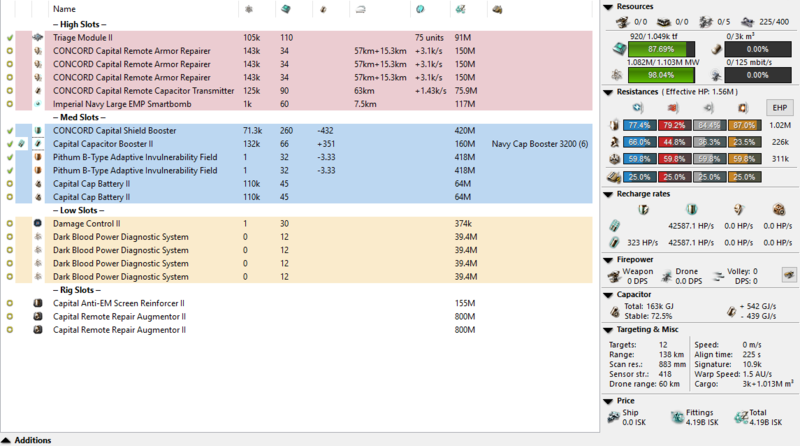 This one is focusing on cap resistance and RR augmentor rigs to really conserve your cap boosters. If you were to go into a brawl with a DST or similar, then there is certainly room for a powerful dual cap booster fit that would be incredibly difficult to break. This is of course based on cargohold size. As with solo PvP Marauders, a fit like this would fall flat on its face once it runs out of cap charges. By bringing say an Impel with 90% resists, it could happily sit on grid with a store of 800 more Navy 3200’s in the fleet hangar; enough to tank for 90 minutes on two injectors. I can see capacitor tanks being treated quite similarly to any other tank soon with these new capacitor resistance mechanics. It may be more about boosting your cap up and holding onto those precious gigajoules against neuts. Being able to protect your life juice from Bhaalgorns is vital and maybe CCP will consider the introduction of capacitor resistance rigs to help encourage this kind of “tanking”. An interesting option might be to go for entirely capless capitals; a dread that doesn’t require any capacitor whatsoever. How would you do this do you ask? Ancillary shield boosters. Yes, it’s a bit of a niche fit, but it might have a place amongst the neuts you see thrown around nowadays. Based on the 1.81m EHP buffer gained per 60 second reload, you’re looking at tanking a maximum of 30k dps before you start bleeding armour on your cycles. 30k isn’t a huge amount but against just a couple of dreads plus a fleet it might just be enough. You’re also pretty much going to perma-tank like this. Even leaving space for ammo, you have enough cargo for 110 (+18 in the injectors themselves) Navy Cap Booster 3200’s. That’s enough to run your tank for 14 minutes, not to mention the possibility of having a DST to top your supply up. The main benefit here is that it makes trying to cap you out completely pointless and if you’re lucky you’ll serve as a nice neut primary until they realise what’s actually going on. The same thing can technically be done with a shield extender fit in a Pulsar or a plated fit in a Wolf-Rayet. 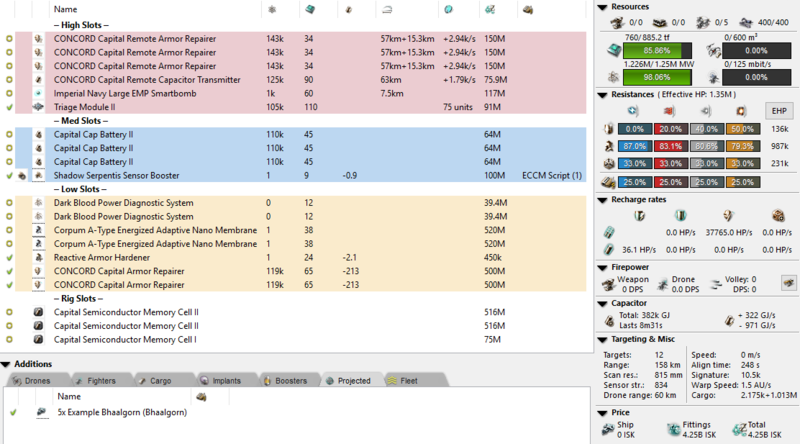 Having about six million EHP is enough to survive your siege cycle, and some, but has complete reliance on your triage pilot to get you back up again for round two. Maybe that could work, maybe it’s only for home defence, maybe that will be the cookie cutter fit going forwards. In the end, everything really is still up in the air. Nobody knows which way the meta will pan out and it certainly won’t be going backwards any time soon. I’m glad we have all these options open to us though; a deviation from cookie cutter is usually a good thing and the game will benefit from it. I’ll look at publishing an update once we start seeing brawls happening, but until then… we always have Pyfa and a nice cup of tea for the evening.